Registration is now closed for this event. PLEASE NOTE!! Due to severe weather conditions, this event has been moved to Thursday, February 21st. You do not need to re-register. Thank you for your interest. Facilitated by Mr. C. Bronston McCord, III of Ennis Britton Co. Attorneys at Law. Description: This event will cover basic training on policies and the roles/responsibilities district or building compliance officers have in relation to complaints or investigations of staff and student discrimination, harassment, bullying, and more. Who should attend: Superintendents, Compliance Officers, and other district/building administrators. Details & Cost: We invite you to join us for breakfast, served starting at 8:30 a.m. Training will begin promptly at 9:00 a.m. Registration is required to attend. Cost is $100 per ticket and may be paid via Credit Card through this website (Local Level). If you wish to pay with Cash, Check or PO, please email arepp@nwoesc.org for details. Thank you, we look forward to having you! The session will begin promptly. Please arrive in advance to get settled and check-in. 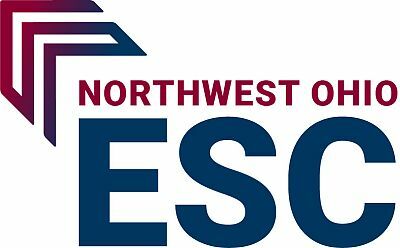 Registration closes January 21, 2019 at 11:59 p.m. Should you need to cancel your registration, please email arepp@nwoesc.org. Refunds for cancelled registrations will only be fulfilled if the request is submitted by January 31st at 8:00 a.m. EST. Refunds will not be allowed for no-shows. To register for other upcoming PD at NwOESC, visit www.nwoesc.org/ProfessionalDevelopment.aspx.